Every region of the country has its famous foods that are just from that area or are originally from there or are supposed to be best there. Jeju Island is no different. 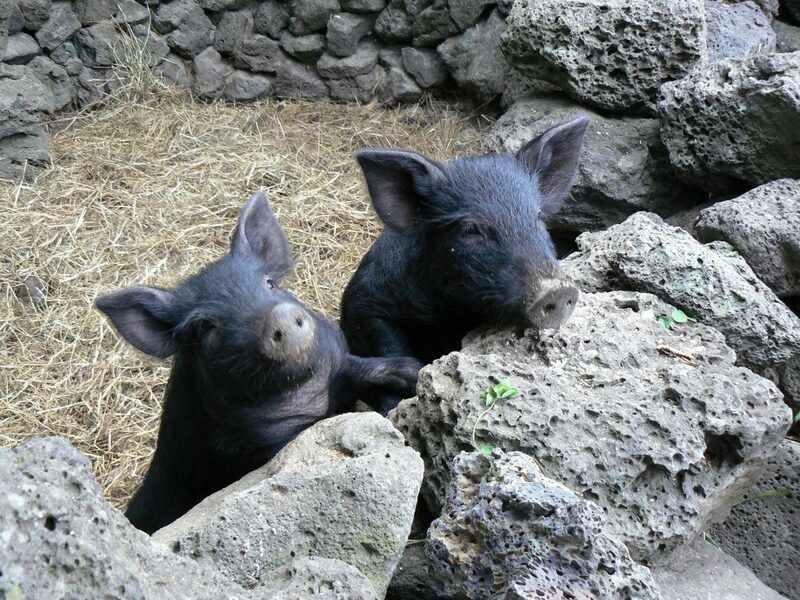 One of its most famous foods is meat from the Jeju black pig. The Jeju Black Pig is a small pig with black skin (hence the name) with smooth coat of hair. It has erect, unfolded ears and a narrow snout like below picture. You will likely see on the menu 흑되지 (heuk dweji, or black pig). The meat is not black, it is simply a pig with black hair as below photo. 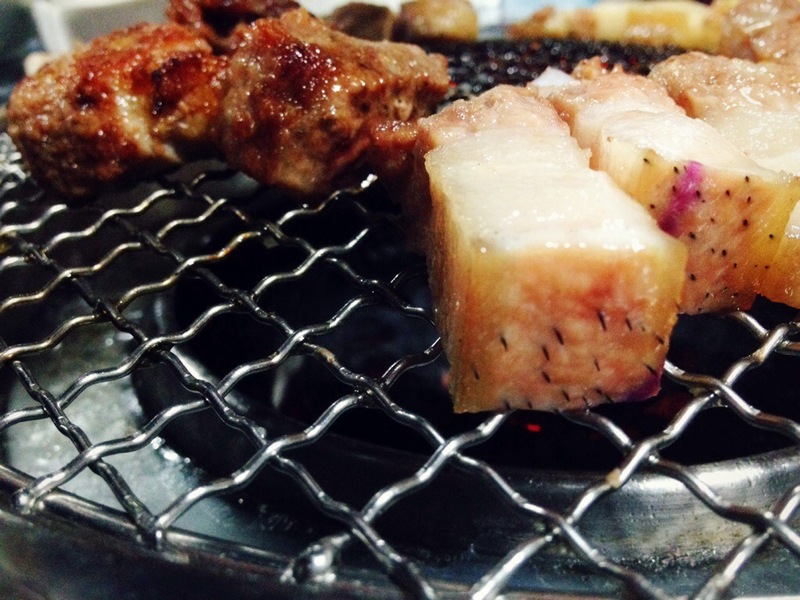 Unlike the usual Korean BBQ that place the meat directly on the grill, the BBQ in Jeju is starting with greasing the grill with a big cube of pork fat. Also,all the food on the table a bowl of tofu soup and steamed egg was served for free. Never thought that was all, the sides of kimchi,onion, mushrooms, garlics and beansprouts will also be added to the grill as well. Just like your usual Korean BBQ, you can choose to eat it with the green leaves or Perilla leaves (sesame leaves of Korea). Perilla leaves are commonly used for wrapping meat in Korea. Tender with a firm bite and though it was grilled without any marination, the meat was good to eat on its own. It certainly didn’t have any of the ‘porky’ or strong smell pretty prevalent in the regular pork. Black pork restaurants are everywhere in Jeju. 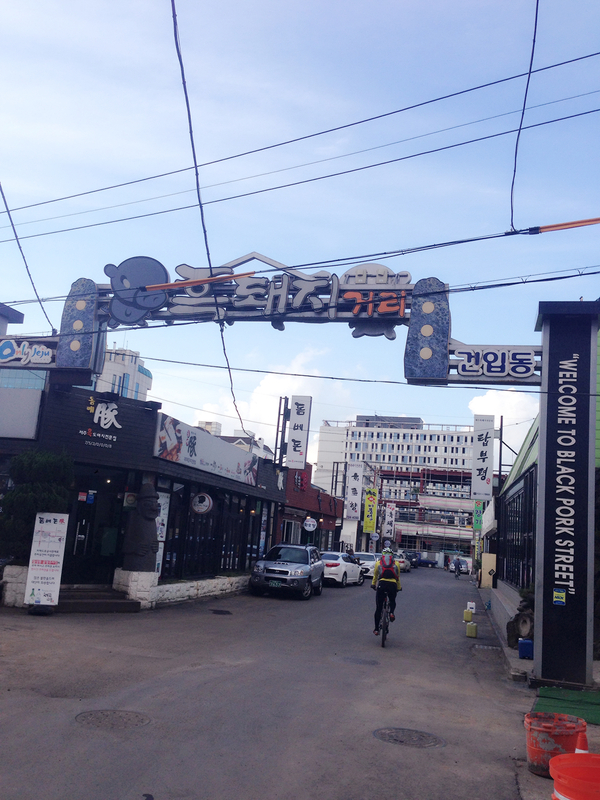 The famous Black Pork Street in Jeju Island is within walking distance from the Dongmun Market and the street is lined with lots of restaurant serving BBQ black pork. From Jeju International Airport, take Bus 38, 100, or 300. Get off at the Dongmun Rotary. Go straight 60m to Jungang-ro and cross the street. Turn right onto the street next to SC Jeil Bank. 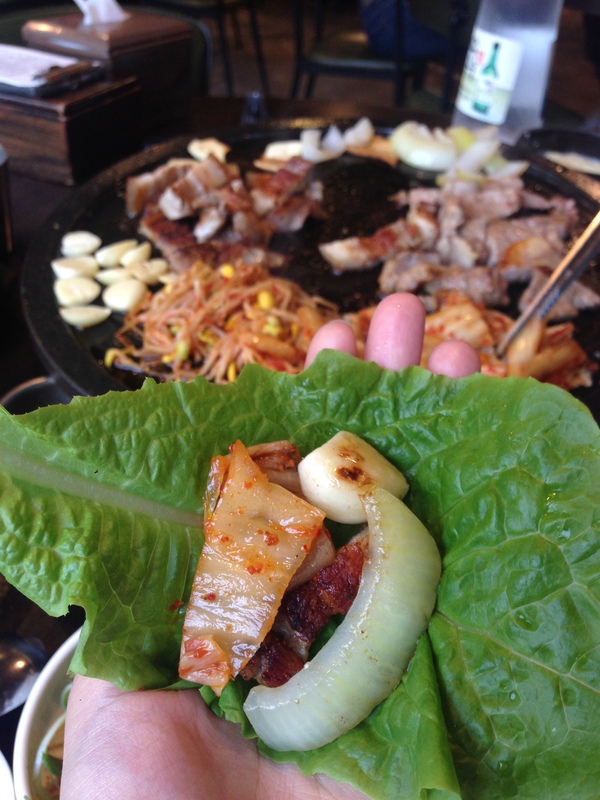 This entry was posted in FOOD and tagged Food in Jeju, food in Korea, Jeju trip, Korean BBQ. do you happen to know the opening hours?